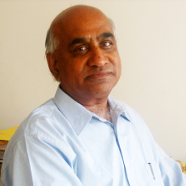 T V Ramakrishnan, BHU, Varanasi, elected to Fellowship in 1980, President of the Academy 2004–2006. Ramakrishnan’s present interests are in the areas of strongly correlated electron systems and high temperature superconductivity. He is well known internationally for his work on localization of electrons in disordered systems and the theory of freezing of fluids. He is the recipient of the Shanti Swarup Bhatnagar Award for Physical Sciences (1982) and the Trieste Science Prize (2005), to name a few of his awards. Walter Kohn once remarked that around 1951, the great Niels Bohr had not heard of the phrase solid state physics, an earlier avatar of condensed matter physics. Kohn played a prominent role in the evolution of the field from that obscurity to its present prominence, through his work and influence. In this talk, some of his contributions to the electron theory of solids, e.g. variational approaches, effective mass theory, effect of electron interactions and density functional theory for electronic structure, will be highlighted. Then, his role as a leading figure in physics, in the USA and elsewhere, will be briefly touched upon.